First I would like to introduce myself. My name is Randy Gunter, some of y'all know me as Mech_Cheese on twitter. After having looked as some of the projects posted here I have finally gained enough courage to post my first major case mod. 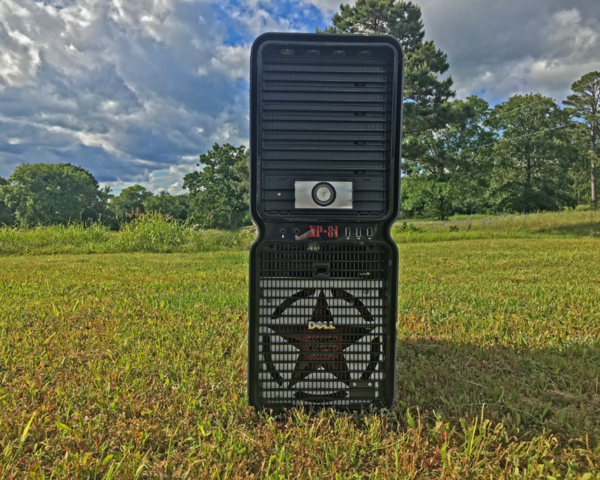 I had an old Dell XPS 710 that had quit working but I held onto the case and after a few years I finally decided to do something with it. I had done some minor modding before (decals, paint, etc) but nothing really to this extent. The only thing done to this case was the decal on the side. 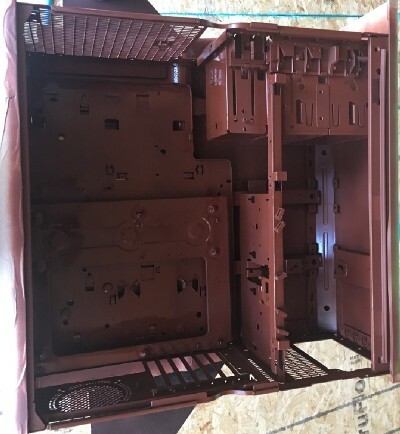 Even the components on the inside were all untouched and as they were from Dell. Now that you have somewhat of a backstory let’s get to the fun part, the plans. As far as a final idea of what I want to accomplish, I am not sure at this point. I will list the basic plan as of right now. 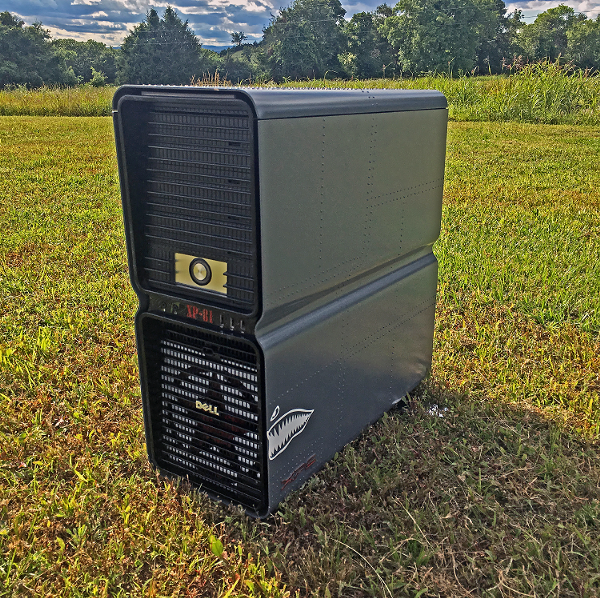 BTX to ATX : The XPS 710/720 series cases were BTX form factor which is outdated and for the most part unused. Any newer motherboard I would use would be some for of ATX so I need to do some serious modifications. LED Lighting : The case has built in LEDs on the front that I want to keep and also make functional. There are actually 8 different colors to choose from and I haven’t quite decided if I want to be able to switch or just choose one color and stay with it. 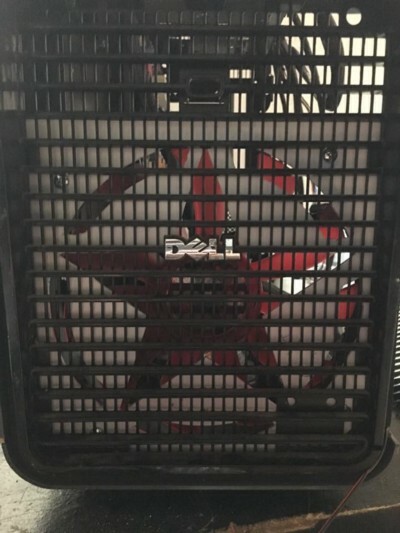 Power Supply : It currently has the factory Dell 750 watt power supply which in itself is great for anything I could afford to throw at it. Problem is that it’s a Dell specific PSU so I will need to modify certain connectors for use with a different motherboard. I can go that route or use my Thermaltake PSU that I picked up at Best Buy a few months ago but it is only rated at 430 watt. (http://www.bestbuy.com/site/thermalt...?skuId=9827301). Color Scheme/Theme : Here is where things get a little more complicated. I have no actual idea of what I would want it to look like when finished. For now this will be a place marker. Coming up next Tear down! 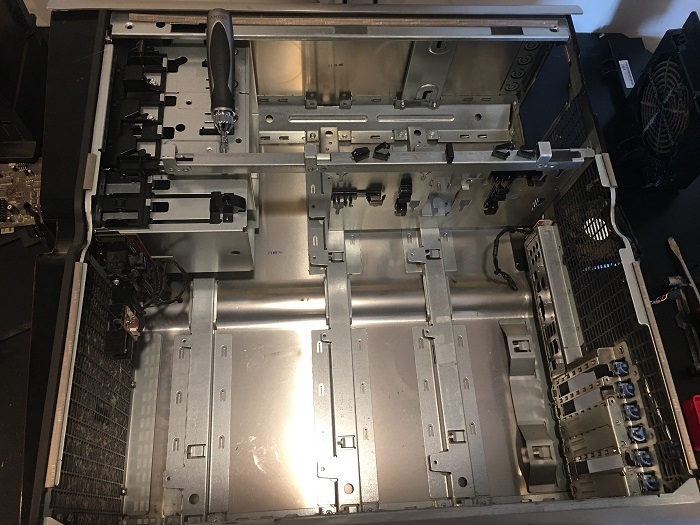 I removed all of the existing components that were in the case, as well as most of the structural parts of the case. I may have went a bit overboard on what I removed from the case but in the end it helped with the modifications. 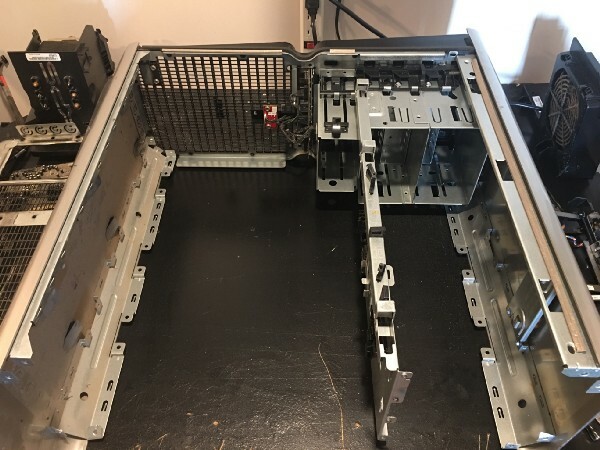 I was going to use an old HP xw4600 desktop case as a donor for the ATX mod but after tearing it down and realizing how it was made I had to take a different route. I remembered another case I had in the closet that would hopefully work. I neglected to take pictures of this case but it was nothing fancy at all, I am not sure it even had a brand name on it. The tray and back were quite flimsy and I almost didn’t use it either but I had nothing else to resort to. Last edited by d7designs; 06-25-2017 at 12:00 AM. I kept the original tray that was in the XPS as something to add sturdiness to the new tray and also as more of a filler panel. The actual swap into the case wasn’t as hard as I had initially thought it would be, once again I did not take pictures since I was attempting to do this and the dad duties at the same time. I replaced all of the rivets I had to drill out with screws and nuts since I do not have a rivet gun at the moment. I actually like the look of them better anyway in the long run. I apologize for the lack of documented photos so far, this is after I sprayed the primer coat on. You can see the original tray with the new tray in the photo on the left. 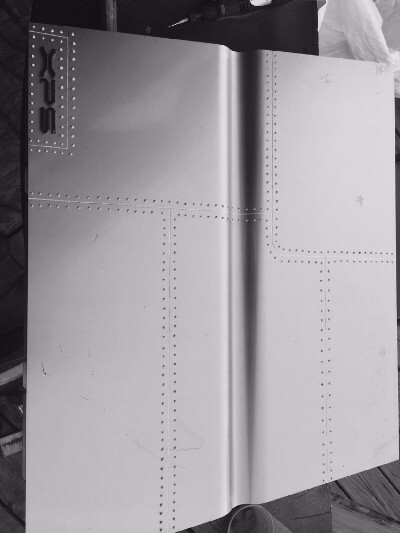 I will be making a filler plate/cover for the unused portion of the old tray so that it makes the appearance neater. I had initially decided on a Red/White theme but have since switched directions on the whole idea and am going to go with something a little more drastic. Everything you can see coated in primer now will be more of a Bronze color when finished. As far as the outside of the case itself, well that is going to take a bit more work . For the outside of the case I decided since the way it was built and the material it was built out of that I wanted to give it a unique design. Granted it took more work than just painting the case but the end result was extremely worth it. 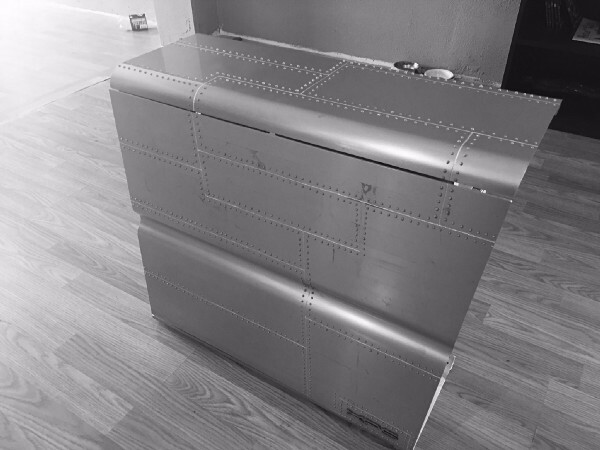 I went with a “riveted” look similar to that on the older World War 2 airplanes. I had decided upon a theme as well as the colors to make it happen but I still hadn’t decided on a name for it yet. I turned to twitter for suggestions and also started searching google for anything relevant to the theme that made sense for the build. I stumbled onto a plane from World War 2, the Convair XP-81, also known as “Silver Bullet”. It just seemed to fit completely with the build so from that point on it was dubbed XP-81. Now that most of the outside of the case had been completely, aside from some minor details, it was time to turn my attention to the inside of the case. I needed to do some rewiring of the original 750 watt Dell PSU and also the LED lighting, power switch and HDD light. The psu was rather simple to work with, I was able to re-pin the 20 pin connector for the BTX motherboard and ended up with 1 x ATX 4 pin connector, 1 x EPS 8 pin connector and 1 x PCIe 8 pin connector. There was also a short connector coming out of the housing that apparently on some models was used for water cooling. I utilized the 3.3v pin from this connector and one ground to power the LED lights that were on the case originally. 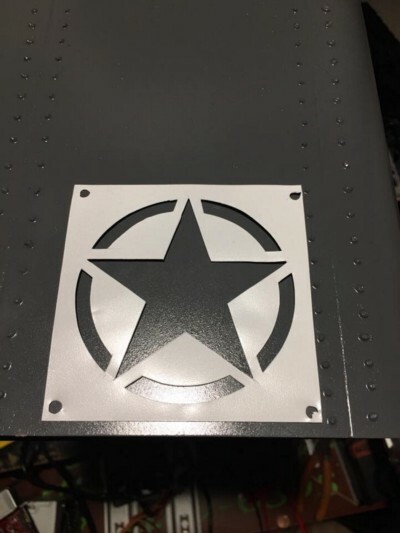 On the front of the case is a panel that contains USB ports, diagnostic LEDs, HDD/LAN LEDs and audio connections. 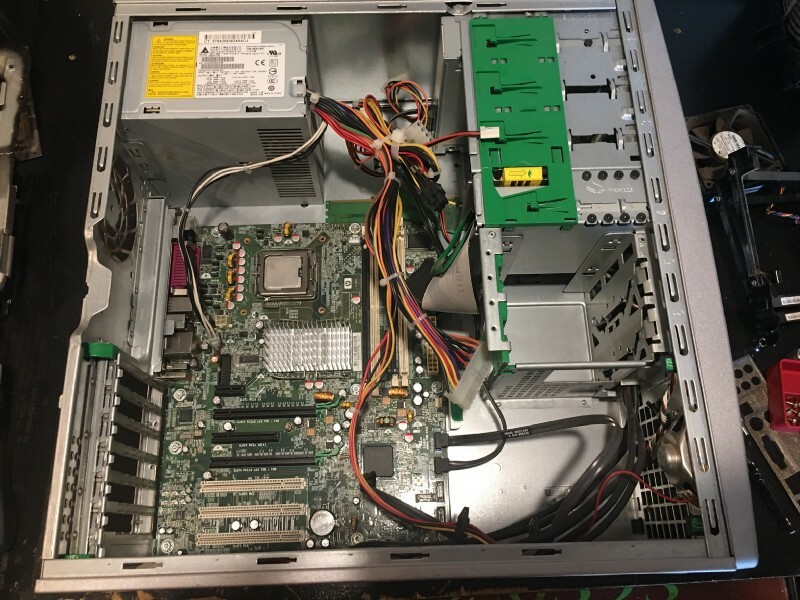 I was able to retain usage of the USB ports since the connectors were plug and play but I haven’t yet attempted to rewire the audio to work with non dell motherboards. The LEDs on the panel is where things got interesting. 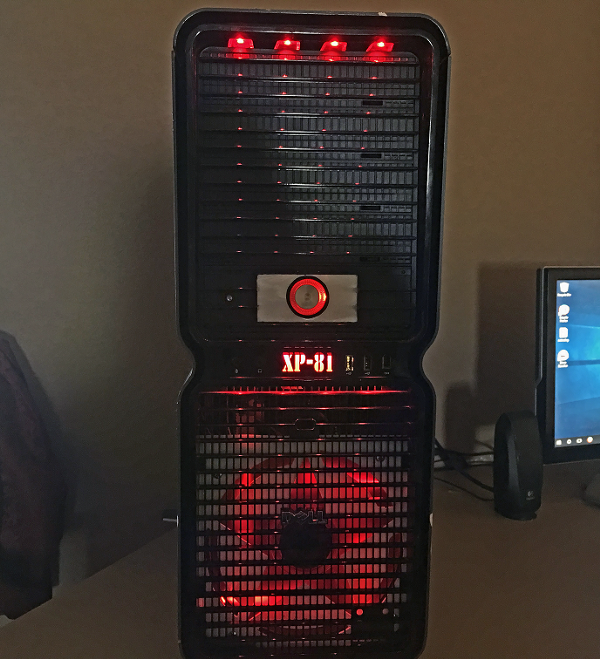 I had seen on other XPS mods where they were just simply all wired together and used as HDD lights, but that to me did not make sense nor did it fit with my theme. 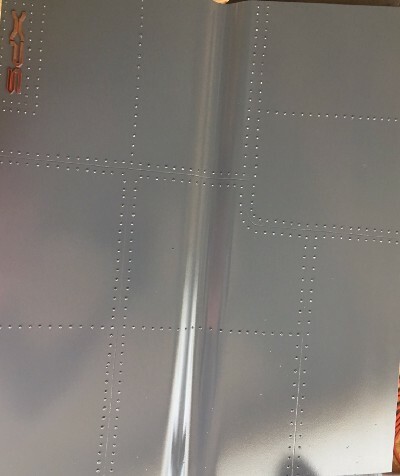 I was able to sand off the backing from the inside and used my plotter to make a decal that I could then light up from the back in order to fit the theme. Things were finally starting to fall into place and the build was taking shape but I still needed to set it apart even more. 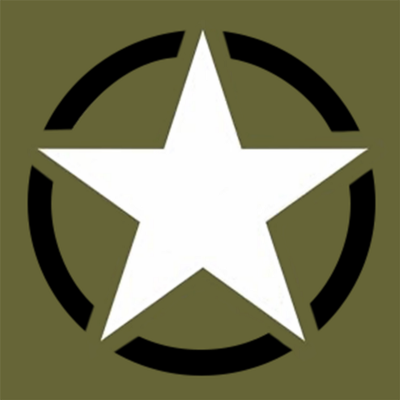 I turned back to google to find something else from the WWII era that I could incorporate into the case. That was where I found the idea for the fan grills. Though they may not be completely visible when it was all put together, I still thoroughly enjoyed making them and they make it that much more unique. Now it was time to start putting in the components. I won’t go into detail of what I put in the case since it is all older stuff but it fit well and looked good in the end after some cable management. I was glad to finally have a nice case to use and be able to display. It may not be all high end stuff but it works for what I need right now. 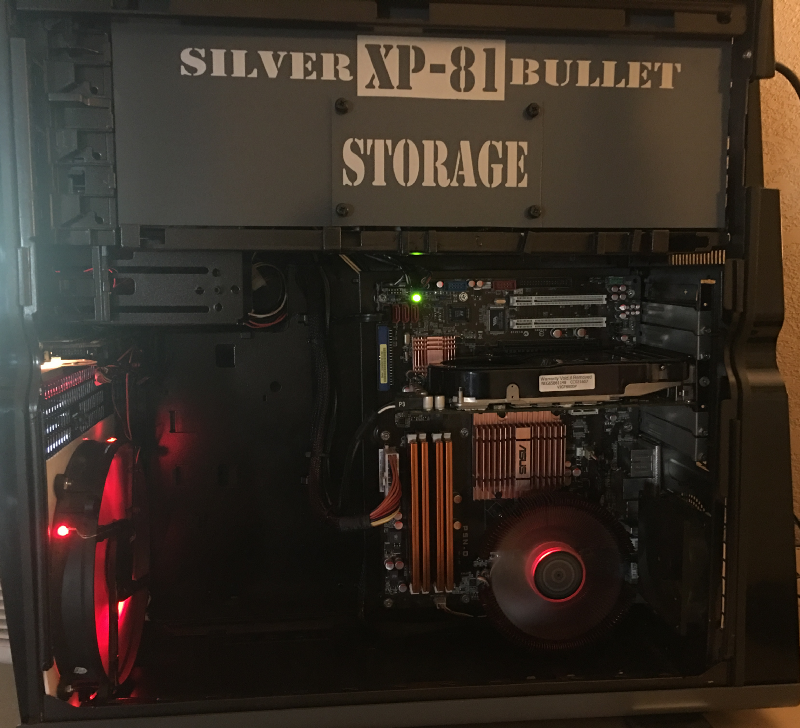 I got all of the parts back into place inside the case, I only utilized one hard drive bay from the case since I have no need to have 4 hard drives, so I was able to keep the cable management to a minimum. Since the psu was an OEM one and not modular at all though, that left a mess of wires up top in the case where the psu is located. I needed to make something to cover the whole area but right where I needed to cover is also where my hard drive is located. That was when the idea hit me to use some more of the lexan sheet that I had acquired earlier on. I was able to make a cover and also an access door to the hard drive, but keep it within the limits of the theme. As the project was nearing completion and as anxious as I was to start revealing everything, I still needed to have a functional power switch. The original switch would not work due to it’s wiring as well as the location. I returned to the case that I stole the motherboard tray out of and it had a large round power switch and also an LED that lit up the switch. Well turns out the LED was blue and I just couldn’t have that so I replaced it with a red one that I was able to scrounge up. I considered several locations on where to put the switch and none of them seemed logical. What I ended up doing in the end was utilizing the area that would normally be used for a 3.5" floppy drive. With some precise measuring, cutting and placement I was able to come up with something I was happy with. I hope that anyone reading about this build enjoys what I have came up with and I am open to any and all opinions, good or bad. I apologize for lack of pictures and also quality of what pictures I did post. I do not have a good camera and simply used my iPhone to take what I posted. I hope to continue modding when something comes along, I thoroughly enjoyed it from start to finish. 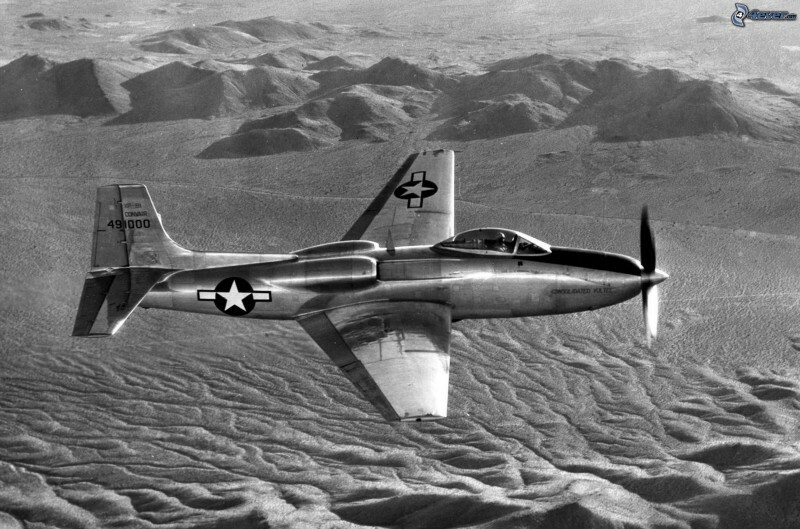 So without further boredom I present to you the XP-81 “Silver Bullet”. I completed this mod about a month ago and have since acquired a better camera and also some more tools. I appreciate any feedback whether it is positive or not, it will only help me become better in the long run. I do have an update as far as the components go. After posting the build log I had typed up on Medium, a few friends from twitter decided that the case deserved better components so they are sending me a pretty decent collection to put into this case. One of the stipulations was that it had to be water cooled with a custom loop so once I get everything here and get started then I will update this post. I have already started on another case mod and planning on another. Once I have some sort of progress to post on the one I started then I will create a build log for it. Thank you for checking out my project. Came out good. Not really a great case but you made it better. 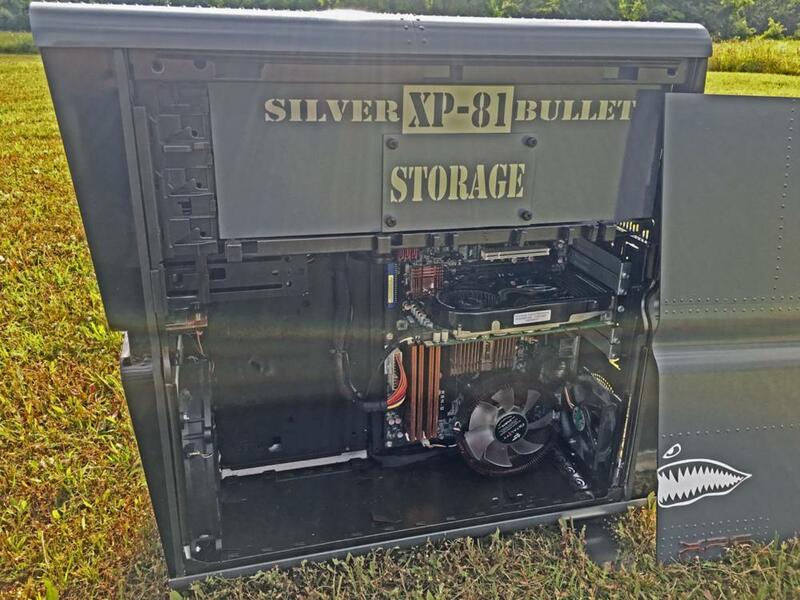 I like the PSU cover.